You really need to watch this video. You will not believe this Great Blue Heron. 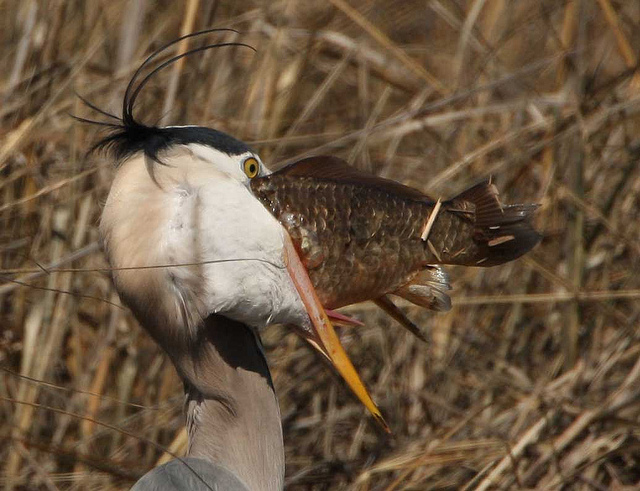 YouTube Video by stonecabinphotos – “A Great Blue Heron spears and swallows a huge carp at Bosque del Apache NWR on 29 Oct 2013. The process took 11 minutes.” I have seen them do this, but never with a fish this large. Watched this Great Blue catch a catfish at Circle B Reserve, but it was small compared to the one above. Here is a photo by ©USFWS, but even it is smaller than the video above. This last verse reminds the Great Blue Heron that his catch and his beautiful feathers should help him be content. 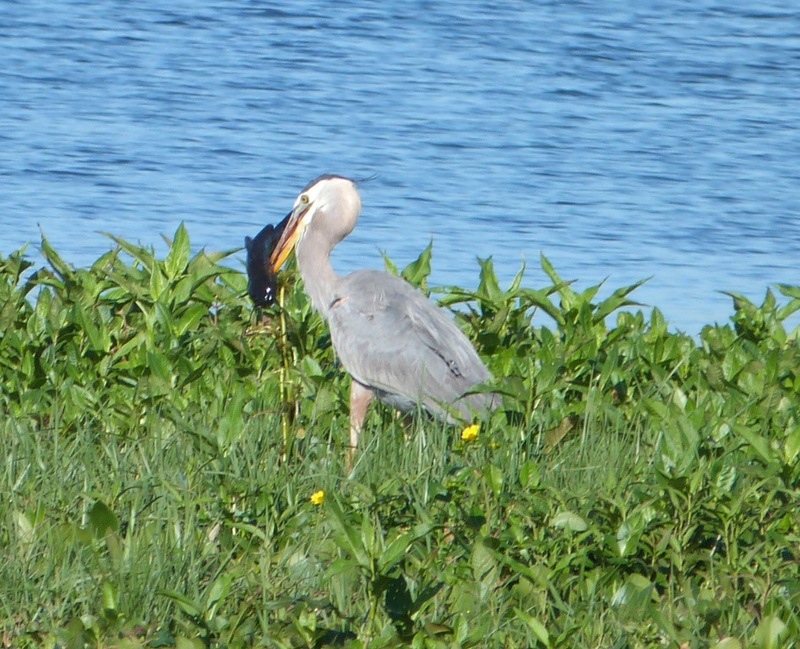 Though, not sure that the Heron may have a sore throat and an upset stomach. Enjoy! Bolding and italics in verse added for emphasis.